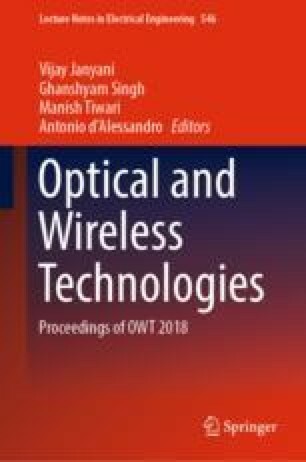 In this paper, we have investigated the performance of an optical wireless communication system and reported the achievable BER and average channel capacity using different modulation schemes such as on-off keying (OOK), quadrature phase shift keying (QPSK), and pulse position modulation (PPM). A comparative study based on these three schemes has been studied for free space optics (FSO) system. The atmospheric channel is modeled for weak to strong atmospheric turbulences with combined effect of turbulence and pointing errors. Here, the FSO link is modeled as gamma–gamma (G–G) distribution and lognormal (LN) distribution channel models. A closed-form mathematical expression for average bit error rate (BER) and average channel capacity for various modulation schemes, viz., OOK, QPSK, and PPM, are presented, in order to analyze the performance of the FSO system. The simulated results for BER and channel capacity for different modulation techniques over gamma–gamma and lognormal distribution channel model are reported in this paper.